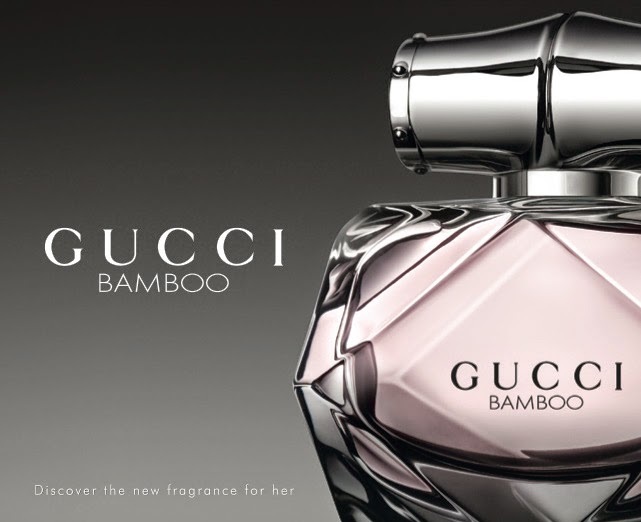 Gucci will launch Gucci Bamboo, a new fragrance for women in 2015. 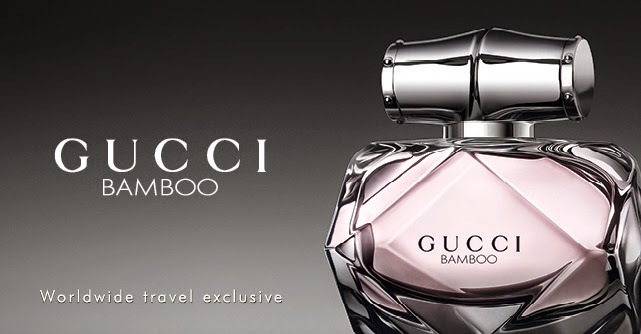 Gucci Bamboo is available at travel retailers starting April 2015, with a wide international roll out to follow in June/July 2015. "Mirroring the Gucci woman's confident persona, the fragrance is soft and intense at once. The duality is expressed with strong notes that resonate through the heart and base. Deep Sandalwood, heady Tahitian Vanilla and unique grey Amber accords strike a complimentary contrast with the inherent femininity found in exotic floral notes of sensual Casablanca Lily, feminine Orange Blossom and delicate Ylang Ylang. The Gucci woman's versatility is reflected in the innovative way Gucci treats Bamboo. This emblem of creative energy is a modern symbol of the House, its distinctive shape an opulent detail on accessories, fine jewellery and timepieces." "Melding delicate sensibility with strong lines, the bottle is a sensual visual statement. The distinctive bottle reveals the scent's inspiration and Gucci's famed design signature. Boldly cut art deco diamond style glass facets are juxtaposed against the curved feminine cap and the pale blush scent inside. These graphic facets are a metaphor for the multi-faceted Gucci woman. The sleek cap reveals bamboo's unmistakable ridged contours in polished silver metal. The packaging reprises the colours of the bottle. Shimmering silver Gs in bamboo form distinctly frame the box, a gentle contrast to the soft pink shade." Gucci Bamboo includes notes of bergamot, ylang-ylang, Casablanca lily, orange blossom, sandalwood, Tahitian vanilla and amber. It is available in 50 ml and 75 ml Eau de Parfum and matching body products, and the face of the ad campaign will be Gal Gadot.